A bipartisan bill repealing the Obamacare Cadillac tax was unveiled today in the U.S. Senate. (Bloomberg) — A new bipartisan effort to cancel Obamacare’s Cadillac tax–the 40 percent levy on high-cost health insurance plans–adds a wrinkle to an impending fight in Congress. The repeal bill unveiled Thursday in the U.S. Senate by Nevada Republican Dean Heller and New Mexico Democrat Martin Heinrich stands little chance of becoming law soon, especially with Barack Obama in the White House. Yet it demonstrates lawmakers’ frustration with the tax, which takes effect in 2018. “I have not seen a piece of legislation that brings more sides together,” Heller said at a news conference in the Capitol on Thursday, invoking a coalition of business groups and unions opposed to the tax, including those that represent casino workers in Las Vegas. Businesses have already begun planning for the tax and are considering trimming health benefits while closely monitoring rules from the Internal Revenue Service. 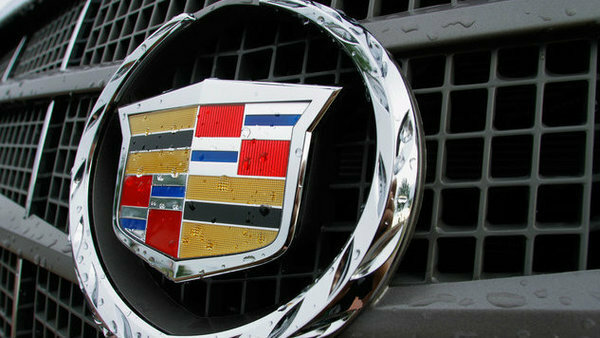 About one-third of employers are at risk of paying the Cadillac tax in 2018 if they don’t adjust their insurance plans, according to Mercer, the benefits consulting unit of Marsh & McLennan Cos. The proportion is projected to quickly rise to exceed 50 percent. The tax applies to family health-care coverage exceeding $27,500 and individual coverage exceeding $10,200, with low inflation adjustments intended to capture more people over time. The tax was designed to put pressure on health costs and reduce the benefit of the largest tax break for individuals, which allows the value of employer-provided health insurance to escape income and payroll taxation. It has faced bipartisan opposition since the tax was first proposed. Republicans oppose it as they have almost every piece of the Affordable Care Act. Democrats aligned with labor unions also object, as unions have often negotiated generous, untaxed benefit packages in lieu of taxable wage increases. Heller and Heinrich said the tax has stymied labor negotiations and would hurt middle-income workers it wasn’t intended to affect. Many of the tax’s defenders are no longer in office. They have left behind frustration and a campaign that has united labor unions and large companies including Procter & Gamble Co. and Pfizer Inc. in an effort to repeal the tax. In the House, a repeal bill by Connecticut Democrat Joe Courtney has 145 co-sponsors, and similar legislation by New Hampshire Republican Frank Guinta is supported by 91 of his colleagues. The biggest obstacle for lawmakers, other than Obama’s veto, is the cost of repealing the tax. It is projected to generate $87 billion for the government over the next decade, according to the Congressional Budget Office. Democrats generally want to replace that money, and their votes would be essential to overcoming procedural hurdles in the Senate and a possible veto. Representative Lloyd Doggett, a Texas Democrat, said he has never supported the tax and worries about its effect on middle-income families. That said, he doesn’t want to undermine the broader aims of the health-care law. The Courtney bill is H.R. 2050. The Guinta bill is H.R. 879.